This is an urban site including protected structures and new buildings. The site consists of 8 Georgian Houses (all protected structures) and a large open site to the rear with a 1950’s extension. 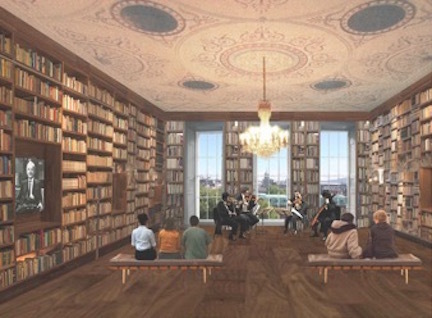 The project involves the adaptation and refurbishment of the existing buildings with a large new build extension to create a new Dublin City Library and cultural quarter (overall area 11,000m² – approximately 50% accommodated in existing buildings and 50% as new build). 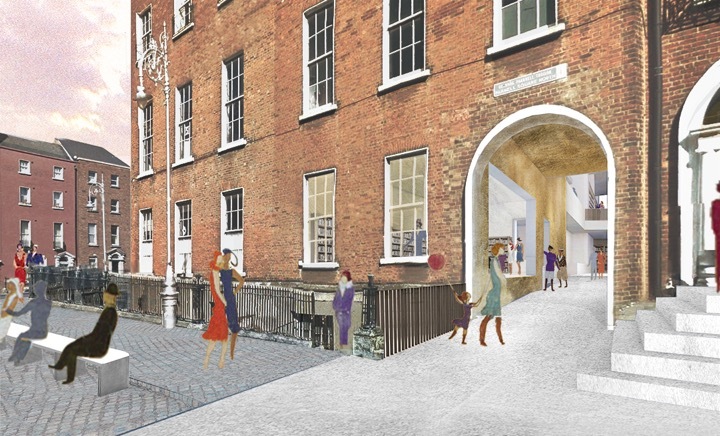 The project also comprises significant public realm works to include the north side of Parnell Square and a masterplan for the entire square including the Hugh Lane Gallery which sits within the overall complex. Shaffrey Associates in collaboration with Grafton Architects are Design Team Lead/Architect and also Conservation Architects. Services include ER; Assigned Certifier; Project Management; Designer under SHWW. The development is subject to NZEB (new build).